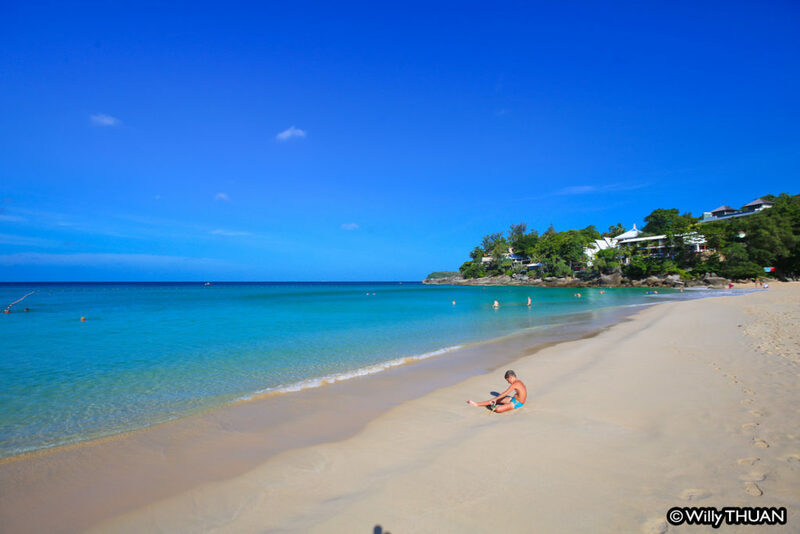 If you have never been in Phuket before, you probably don’t know what to expect apart from those annoyingly beautiful photos everyone posts everyday on Facebook. 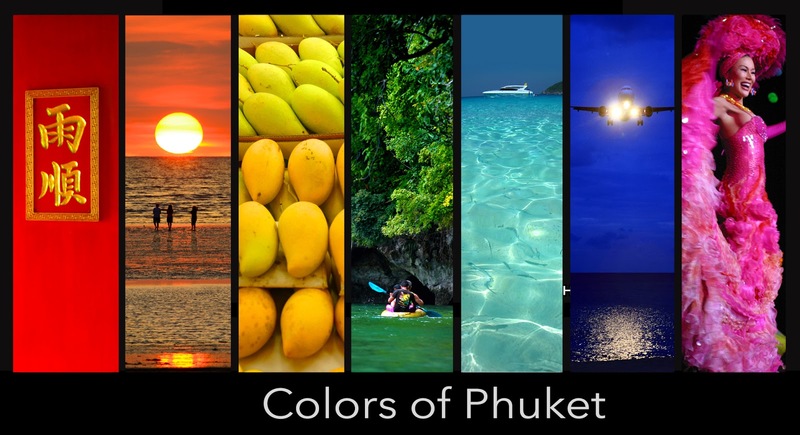 If you are not in the mood to search the net for hours and you just want to get an overview, we compiled here 10 Quick Facts about Phuket that will summarize some of the interesting facts. It is not meant to tell you everything you should know, but you will get the big picture in few minutes, maybe enough to know the basics to start, then you can follow the links to more detailed information. 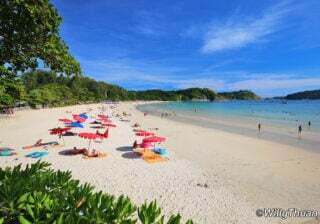 Phuket is pronounced ‘Pooket’ (not: ‘…’) and the original name was Jungceylon, which is the name of the giant ‘Jungceylon Shopping Mall‘. 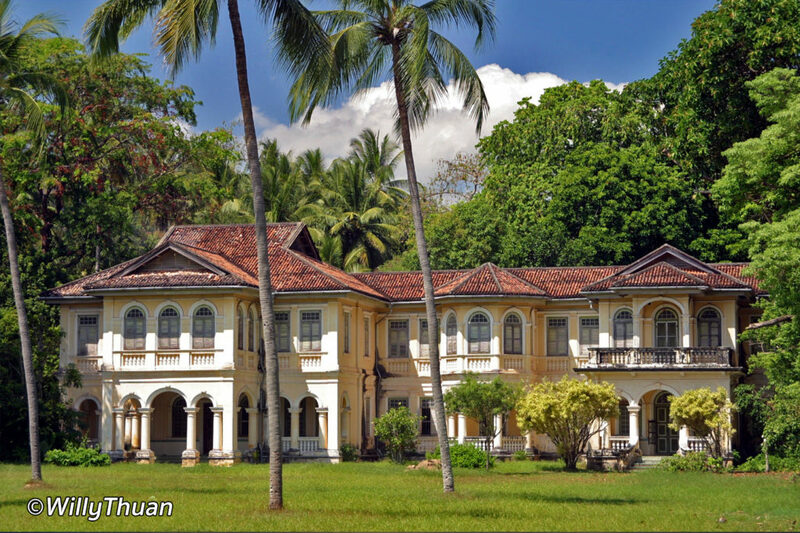 Before being ‘Phuket City’ the main town was ‘Thalang’, not far from the airport. 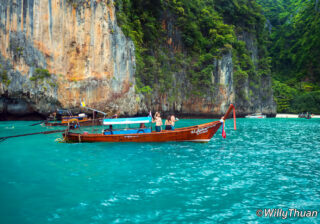 The main source of income is tourism, but tin mining put Phuket on the world map all the way back from 16th century. An entire Kathu Mining Museum has been built in a remote location to preserve the tin mine history. Latex, pineapples, frozen fish, cashew nuts and palm oil are also main source of revenue. 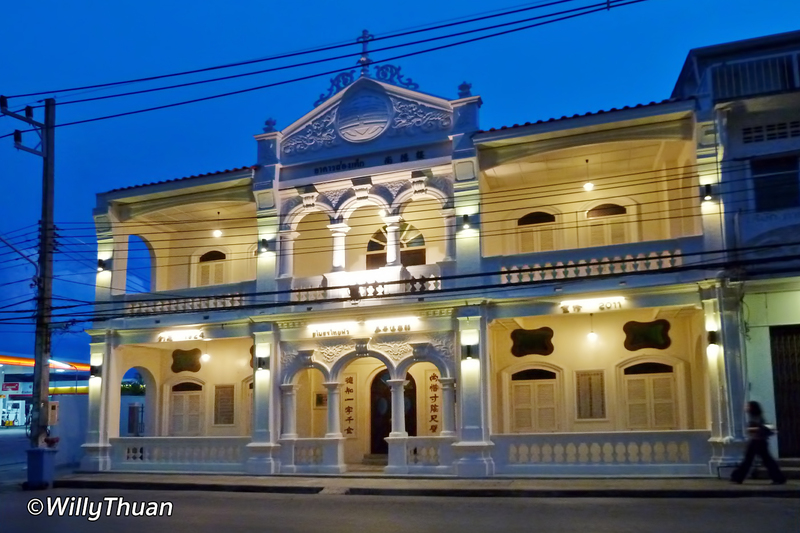 The main town is ‘Phuket City’ but everyone calls it Phuket Town. Thalang Road in the city center has applied to be a UNESCO heritage site with the many Sino Portuguese mansions and shop-houses, including some jewels such as the ‘Baan Chinpracha House Museum‘, ‘China Inn‘, the Thai Hua Museum and the recently renovated ‘Blue Elephant Restaurant‘. 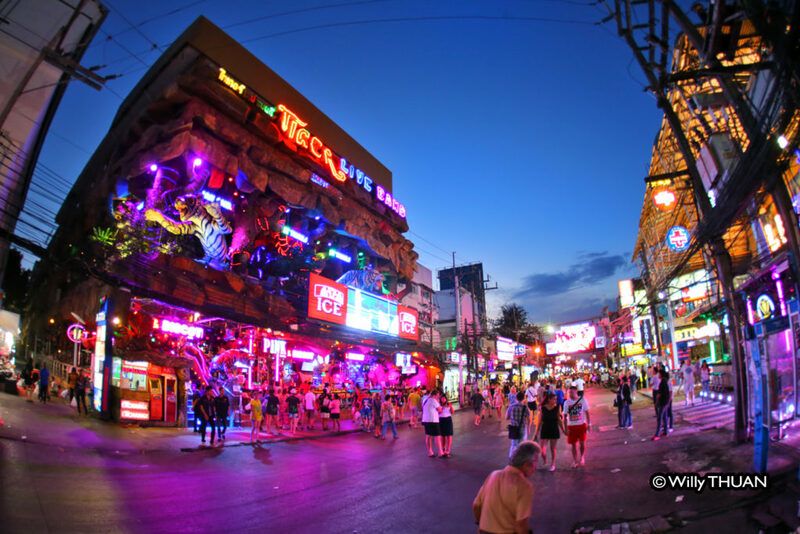 The second biggest town is Patong Beach and it keeps on growing as you read this. 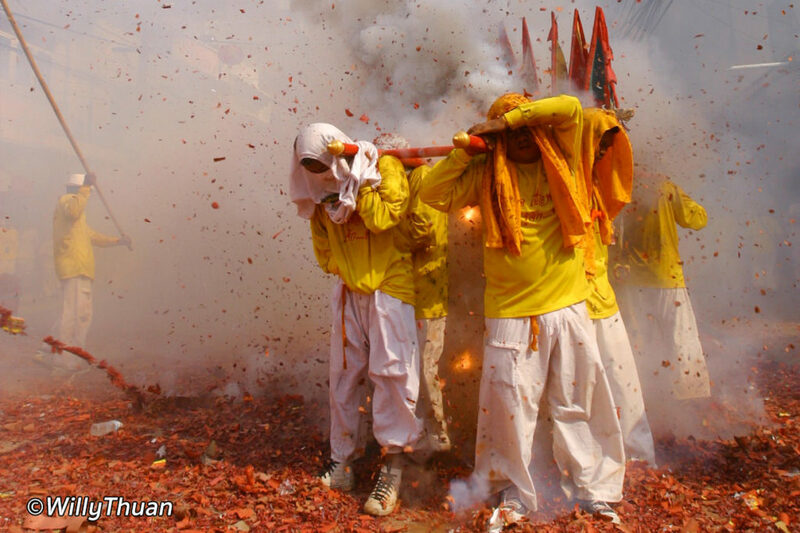 The Phuket Vegetarian Festival occurs on the 1st to the 9th day of the 9th moon according to the Chinese lunar calendar (october). Songkran in April is an occasion to have fun throwing water at each other for a day and mostly party all night. Loy Kratong on full moon of the 12th month in the traditional Thai lunar calendar (November) is celebrated by releasing on the water little floats made of leaves, incense and flowers. 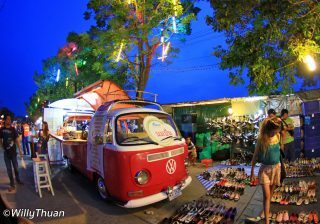 Old Phuket Festival, end January, and Chinese New Year are the occasion for parades in town. 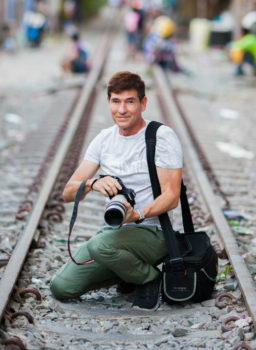 The Phuket Gay Festival April 24 to 28 is also great fun. 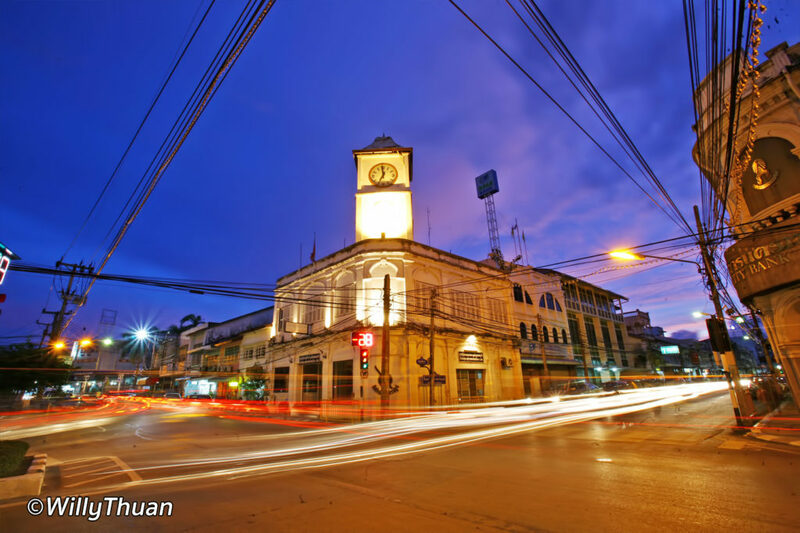 Phuket highest point is Radar Hill with amazing views of Patong and Chalong, other popular hills include the famous Big Buddha, Kao Rang Hill and Karon Viewpoint. 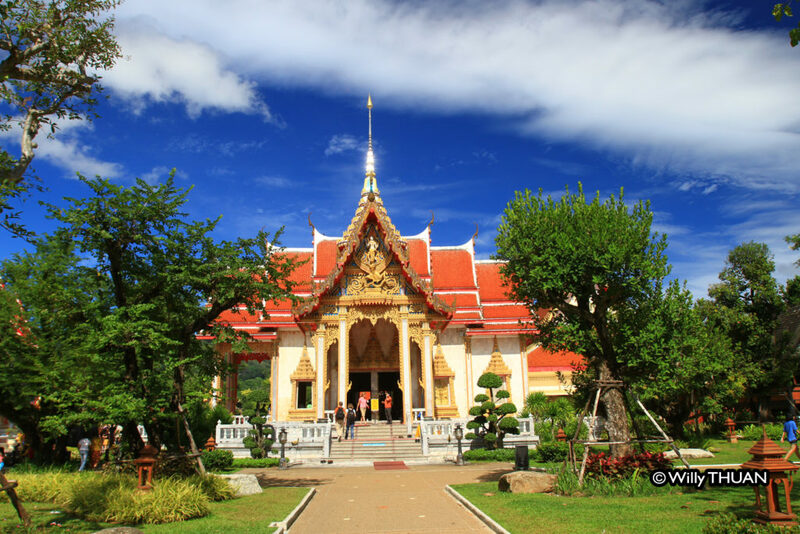 Wat Chalong is the most visited temple and Promthep Cape is the southernmost viewpoint. The Heroine Monument on the way to the airport stands in memory of the two sisters who defeated the Burmese in 1785. Some movies shot in Phuket: James bond Island in Phang Nga Bay, On On Hotel in Phuket Town in ‘The Beach’ and Baan Chinpracha was used in Heaven and Earth. 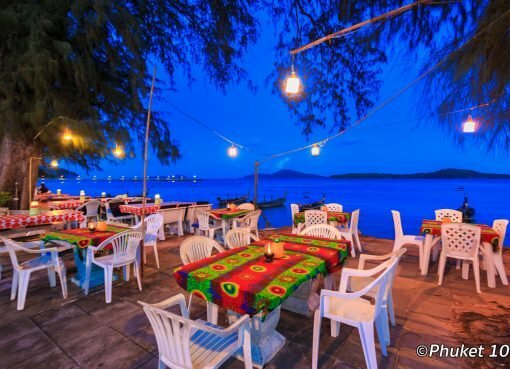 Thai food is famous all around the world and trying local restaurants should really be be part of your Thai experience. 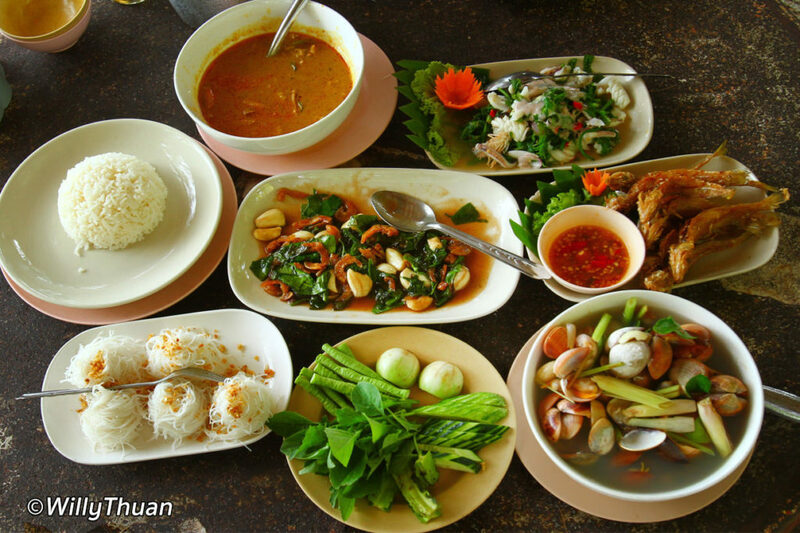 Phuket food is generally more spicy than in the rest of Thailand. Popular dishes are Tom Yum Koong (Spicy sour prawn soup), Tom Ka Kai (Chicken soup with coconut milk), Som Tam (Green papaya salad), Hor Mok (fish mousse), Kuay Tiew (Noodle soup), Pad Thai and more. If you can’t eat spicy just say “Mai Pet” (not spicy). But best of all, Phuket is famous for its amazing seafood! 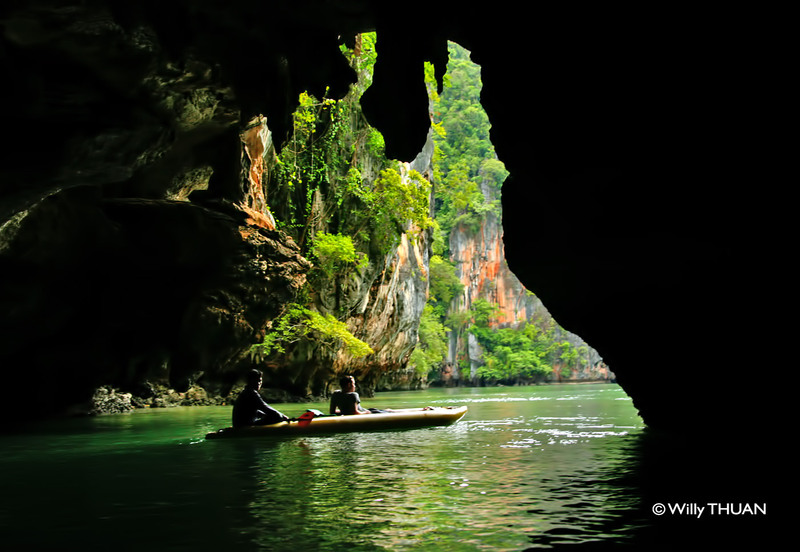 The amazing limestones cliffs of Phang Nga Bay and the famous James Bond Island are about 75 km North East of Phuket, as well as Koh Panyi, the village entirely built on stilts. 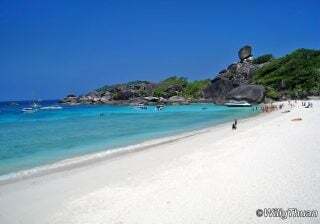 Phi Phi Islands are 46 km south east and Similan Islands are 120 km north west of Phuket. Khao Lak is 100 km away along the east coast, past the connecting bridge, while Krabi is 150 km driving along the east coast, past Khaosok National Park.